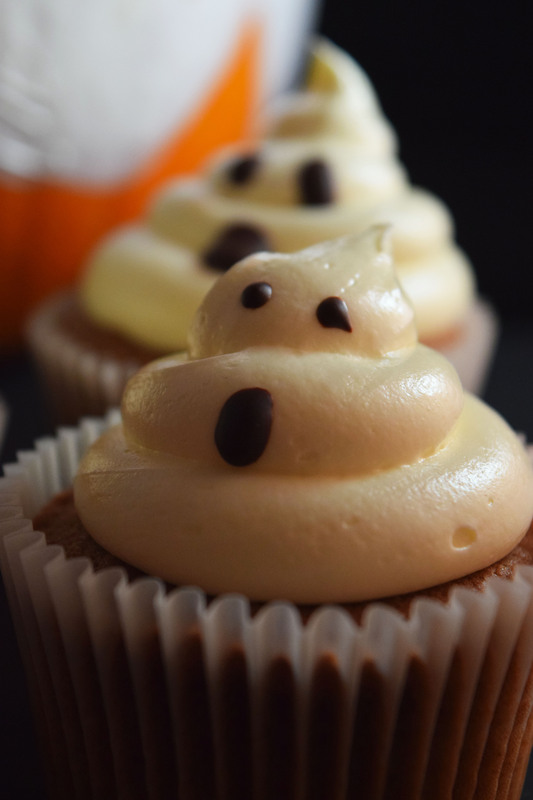 This weekend I created some marshmallow frosting ghosts cupcakes. I’m not overly fussed by Halloween, but any reason to make fun, yummy cakes is a YES from me. I searched high and low on Pinterest for some ideas and saw many to choose from. I decided to go with Ghost cupcakes using marshmallow frosting, as I hadn’t made marshmallow frosting in a while. I made my standard chocolate cake mixture to make the cupcakes and with the frosting I made a standard vanilla buttercream which I then added marshmallow fluff. I cheated slightly by buying the marshmallow fluff, but only because it was less time consuming and super tasty (I definitely did not eat spoonfuls of marshmallow fluff on its own). Using a piping bag and a big round piping tip I swirled the frosting onto the cupcakes and using melted dark chocolate, piped eyes and mouths on the cakes. This design was fairly quick and easy and the marshmallow frosting was amazingly yummy. Definitely the best yet!! 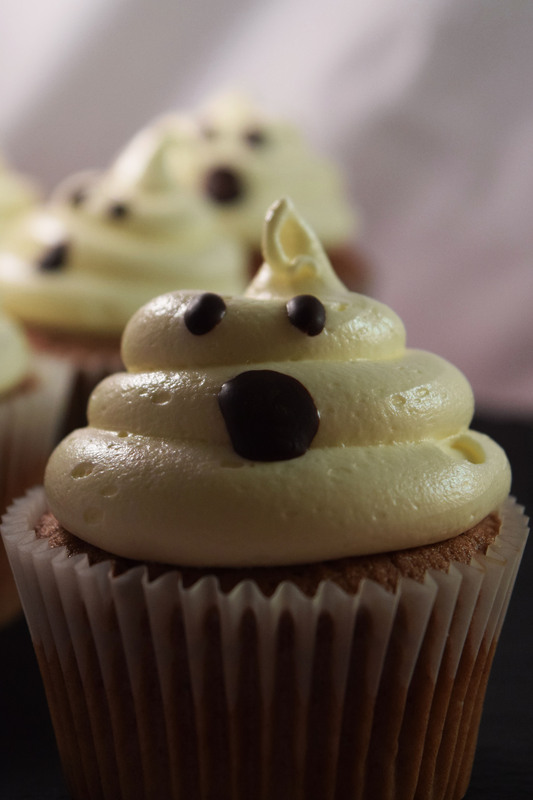 So I hope you enjoy Halloween today and get baking some SPOOKTACULAR treats! !